I recently found a website that plays, for free, the French In Action videos used in my college French courses. In combination with this other website which plays the audio exercises #1-26 #27-52 from the same series (also for free), it’s an excellent way to learn French. However, the catch on the audio site seems to be that you have to install Internet Explorer and possibly Windows Media Player – yes, this can be done in GNU/Linux, but that’s another tutorial for another day – and they’re not free software so I avoid them anyway. Unfortunately, MPlayer stopped and started so badly on my other half’s openSUSE 11.1 system that the videos were impossible to watch. I don’t remember MPlayer ever being so problematic this way in the past, so I assume something new somewhere has gummed up the works. Here’s what I did to get it to behave. Videos take a little longer to start playing because of the extra buffering, but the stuttering is gone. 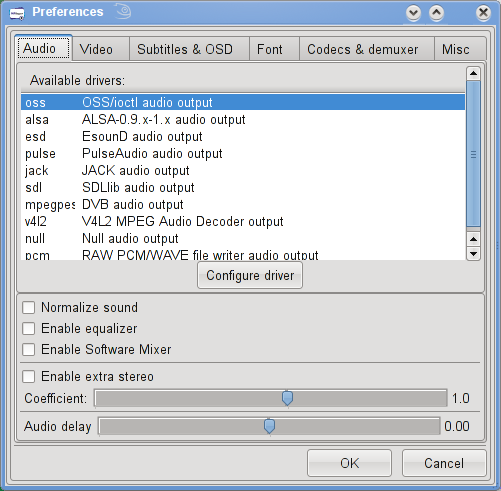 First, even though setting it to use ALSA audio has worked fine in the past, it doesn’t seem to in this case. 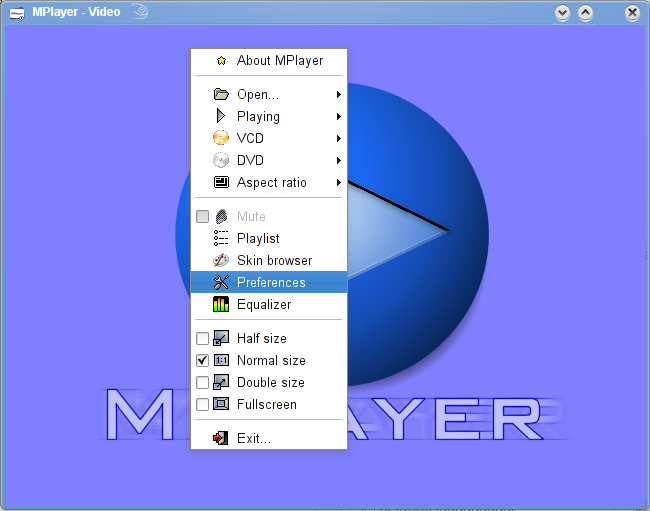 Open MPlayer, right-click in the playback window, and select Preferences from the context menu. 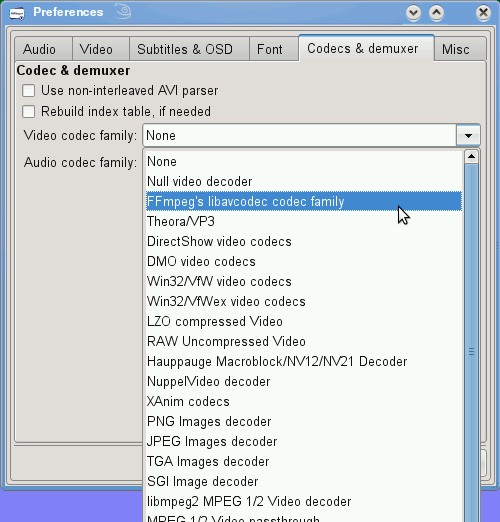 Click the Codecs and demuxer tab, go to the dropdown menu for Video codec family, and select FFmpeg’s libavcodec codec family. Now click the Misc tab. Make sure there is a check in the box next to “Cache on/off” and enter 8192 in the “Cache size” box. I also like to check “Stop XScreenSaver, which keeps your screensaver from popping up while you’re watching a video. Now click OK. The next issue to address is the fact that the MPlayer Plug-In for Firefox has separate settings. You’ll need to play a video in Firefox to get to it. I’ve started one of the French In Action videos as an example for this screenshot. Right-click on the playback area and select Configure. 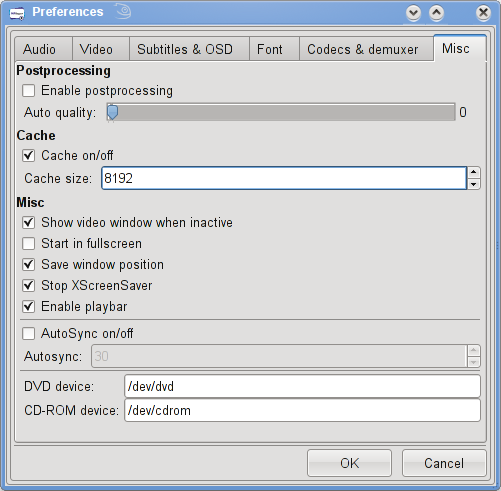 Here, I went to the dropdown for “Video Output” and selected x11, set “Audio Output” to oss, and set the “Minimum Cache Size” as close to the 8192 mark without going under. Click OK.
MPlayer Plug-In seems to also be susceptible to losing the video stream and then stopping play. This wouldn’t be so annoying if there was any way to resume play from where it stopped. In this case, there isn’t. So I employed this little trick, which removes the playback area from its surrounding window and places it in its own window. A minor inconvenience, perhaps, but it seems to fix the problem. Save the file and close Kwrite. Save and exit. All set! Content on this site is licensed under a Creative Commons Attribution-Noncommercial-Share Alike 3.0 Unported License by g33kgrrl, unless otherwise specified. Images are licensed by their respective authors.